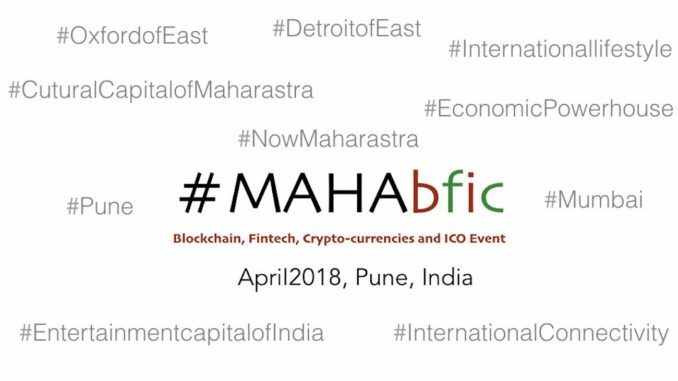 The first event MAHAbfic.com (Maharashtra – Blockchain, Fintech, ICO, Crypto currency) will held on April 28th, 2018, Pune India. 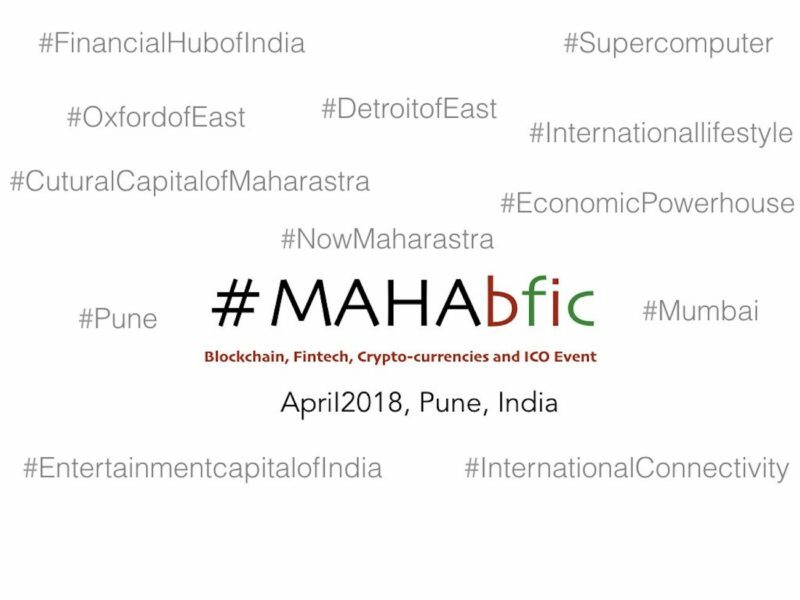 MAHAbfic.com is an initiative aimed at promoting “ the State of Maharashtra” as an Ideal destination for investing for development, R&D, and promoting emerging technologies such as Blockchain, Fintech, ICO, Crypto currency. Dr.Tausif Malik has a long history of involvement in business, technology, and community organizing said that the “ the State of Maharashtra offers 1.) Great international connectivity, 2.) Proximity of airport from the main city, 3.) 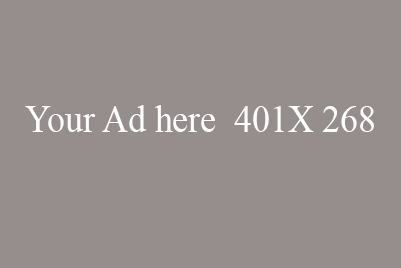 Real estate opportunities, 4.) Availability of human resources & talent standard of living, 5.) Quality of life, 6.) Mumbai financial capital & entertainment capital, 7.) Pune – Oxford of the eEast & Detroit of the East 8.) Pune – India 1st tech capital of India ”. 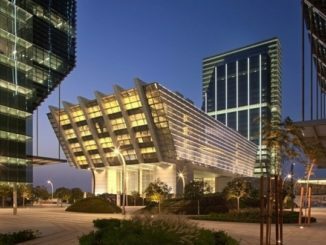 Malik further said that the “ There are many conference or events, which only promote a particular subject or a technology but MAHAbfic.com (Maharashtra – Blockchain, Fintech, ICO, Crypto currency) conference and ecosystem where it is not promoting technology but the State of Maharashtra. This was never done before and its one of its kind ”. 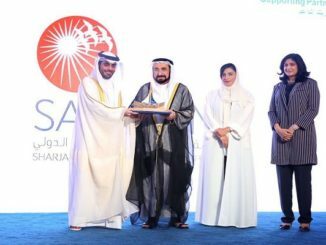 Malik further said that the “ There are many conference or events, which only promote a particular subject or a technology but MAHAbfic.com (Maharashtra – Blockchain, Fintech, ICO, Cyrpto currency) conference and ecosystem where it is not promoting technology but the State of Maharashtra. This was never done before and its one of its kind ”. MAHAbfic.com ’s vision and benefit is to connect with the vision and policies of Government of India such as Make India, Startup India- Standup India, Digital India & Skill India. 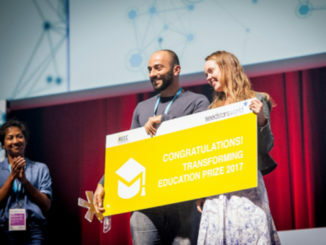 Dr.Tausif Malik shared his story as an entrepreneur “ I didn’t win a singIe competition … even though my mother took me to over 100 competitions ….Every-time I lost at the competition, my mother would say that “Your time will come”….now I’m the creator of America’s Second Largest Competition. That taught me perseverance and dedication. Hence, I would want offer my expertise and experience to budding entrepreneurs through our Startup Events and Fests. 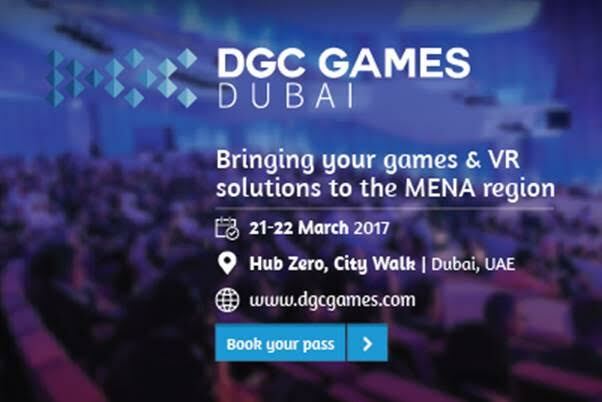 Dr. Malik said that “The MAHAbfic.com ’s conference will include Networking sessions, Speakers, Startup Showcase, Hackathon Vendor Stalls where attendees will interact with each other and exchange business ideas and business cards”.